The violent attack against conservative activist Hayden Williams on UC Berkeley’s campus last week got virtually no attention from the establishment media, but when the Washington Post finally decided to report on the incident, nearly one week after the story first broke, the coverage came with an interesting spin. The video of the assault — which occurred on Tuesday of last week — was exposed to the public in a tweet by Turning Point USA founder and executive director Charlie Kirk two days later, on Thursday. The video shows Williams being punched in the face in an apparent politically-motivated attack. The violent incident did not garner much attention from mainstream media over the course of the week — especially when compared to the establishment media’s reaction to the now-infamous Jussie Smollett story — until the Post finally broke its silence to report on the UC Berkeley incident for the first time on Wednesday. In doing so, the publication added a strange narrative, prioritizing the reactions of conservatives as an important focus of the story. 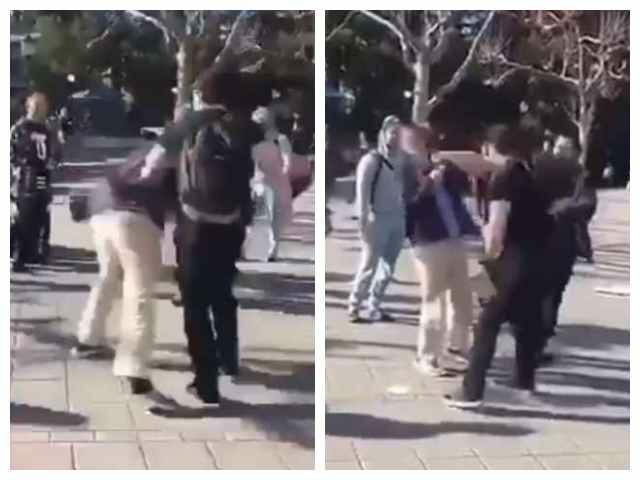 “A conservative activist was punched in the face at UC Berkeley. The response enraged the right.” reads the headline for the WaPo piece by author Katie Mettler. The body of the story opens with a few sentences describing what had happened before delving into the reactions of conservatives, namely Charlie Kirk, Donald Trump Jr., and conservative UC Berkeley student Bradley Devlin. “The news comes after a seven-day campaign by conservative activists both at Berkeley and nationally, who have argued, on social media, right-leaning political websites and Fox News, that because of liberal bias, the attack garnered what they perceive as a delayed response from the police and university and a muted response from the public,” writes Mettler. The piece then goes on to quote conservatives’ reactions, followed by the responses of a UC Berkeley spokesperson. Users on Twitter reacted critically to the piece, offering their own sentiments in the comments thread underneath WaPo‘s tweet. Clearly, the bad guys here are the right wing for their disappointment with the way it was handled and covered by the press. The headline should be “A conservative activist was punched in the face at UC Berkeley. The response enraged good people.” If that isn’t accurate, we’re farther down a dark path than I thought. How do you actually go to print with this headline?